Potato Masala | Aloo Masala Recipe. 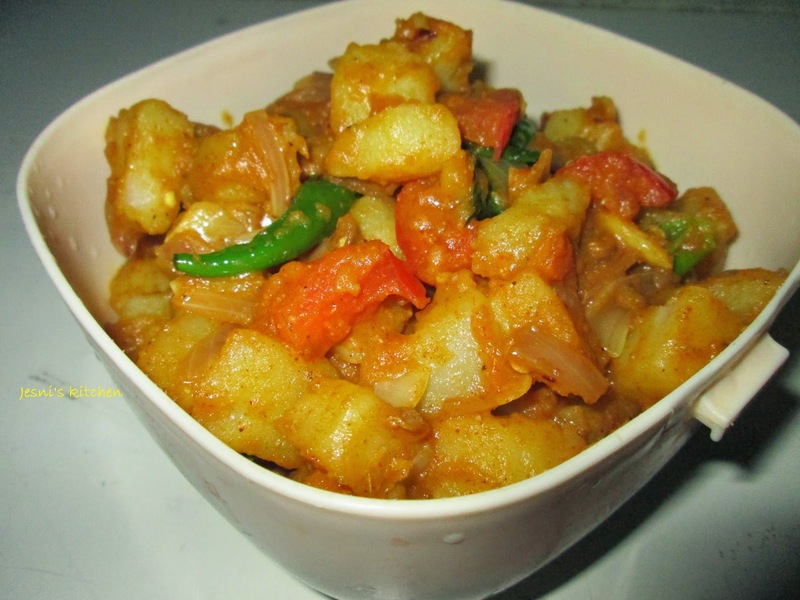 Hey there .. potato masala is a tasty side dish which goes with poori,chappathi or rice. you can easily make this recipe as your dinner or breakfast side dish.. just try this recipe and comment below.. This recipe is a repost from jesni's kitchen. Heat some water in a saucepan and cook the cubed potatoes till half cooked.you can pressure cook the potatoes but not over cook it..drain and set aside. Add ginger garlic paste and green chilli and mix well..Saute for sometime until raw smell goes from it..
Add onions and Saute well for 5 mins.Until it gets a golden brown colour. 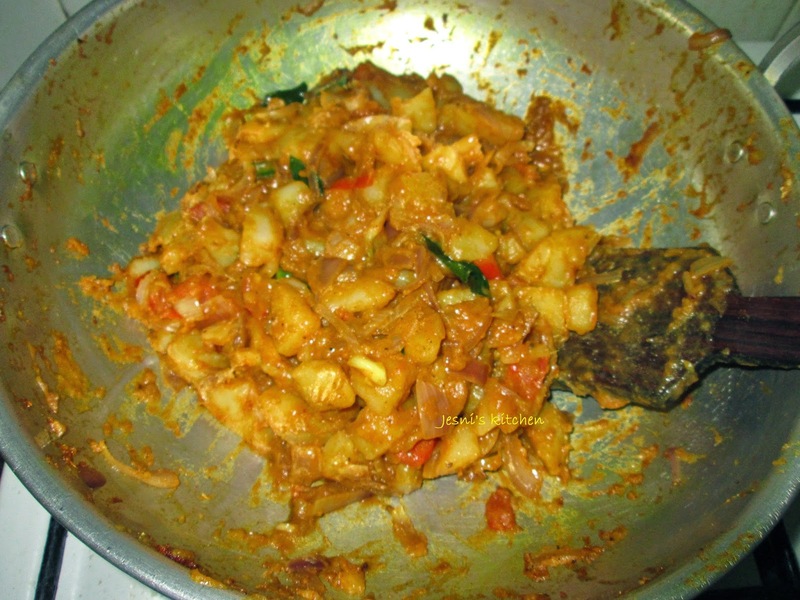 Add Garam masala,turmeric,chilli and coriander powder..mix well..
Add cooked potatoes and mix well..So that each potato is coated with the masala..
Add in salt and a ½ cup of water..Cover and cook on a low flame for 10 mins..
Add in tomatoes and mix well...Cook this for 5 mins..
Add in curry leaves...Toss well .. Lets serve?? 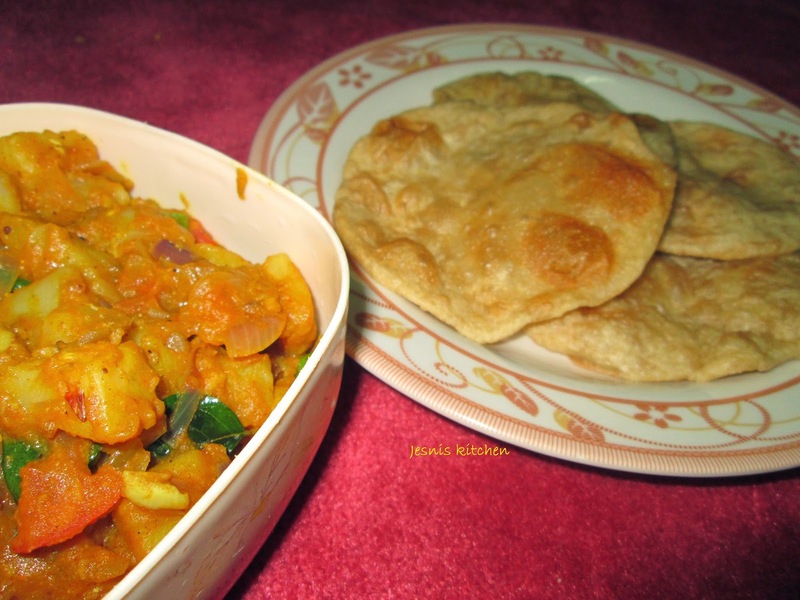 Serve hot with poori,chappathi or rice.Enjoy it..